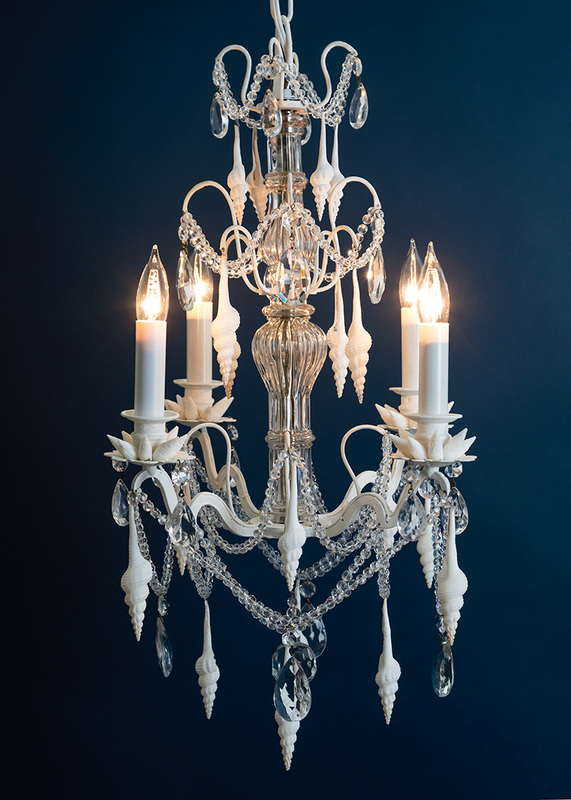 Moonlight French chandelier. White painted frame with crystal core, almond crystal drops, faceted crystal ball drop and glass cut bead swags. 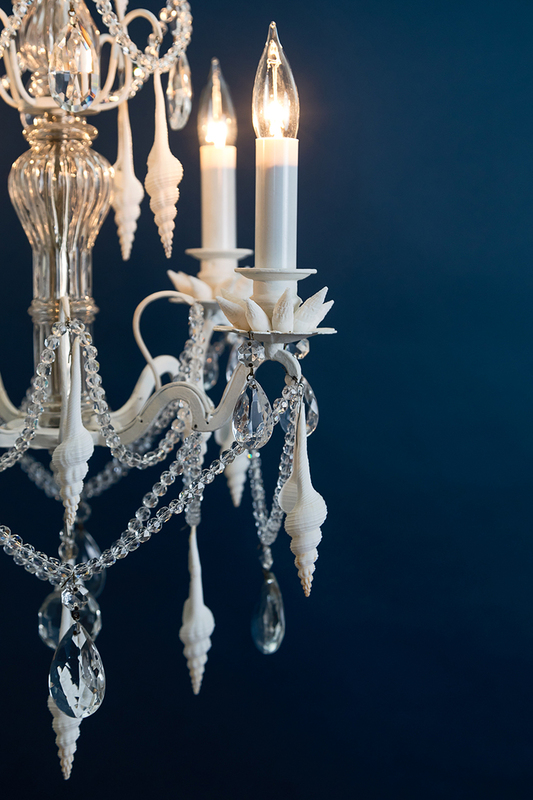 White spindles and white vertagus shells complete the design.